Our range of products include elgas gas flowmeter, elgas rotary gas meter and elgas gas flow meter with electronic volume corrector (evc). We are authorized distributor for Elgas products in India. ELGAS rotary gas meters are designed to meet the highest demands of accurate gas measurement. The EMR series of rotary meters is suitable for gases such as natural gas, LPG, propane, Biogas. Innovative Automation Private Limited is authorized distributor for Elgas Sro for Gas Flowmeters & electronic volume correctors in India. 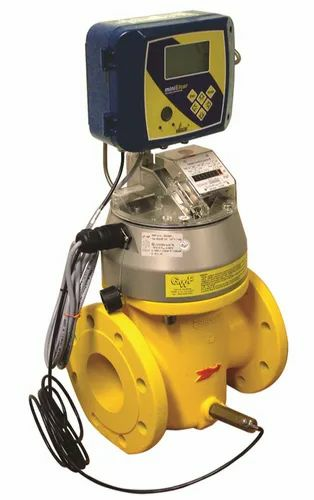 Elgas Rotary gas meters are used in a wide variety of industrial applications due to their reliability and accuracy over an extremely large range. Innovative Automation Private Limited supplies Elgas gas flowmeters with Electronic Volume corrector (EVC). Elgas gas flowmeters are know for high accuracy and stability of gas measurement. Innovative Automation Private Limited is authorised distributor for ELGAS, s.r.o. Czech Republic. Gas meters for measuring Natural Gas, LPG, Biogas. Looking for “Elgas Gas Flowmeter Authorised Distributor”?